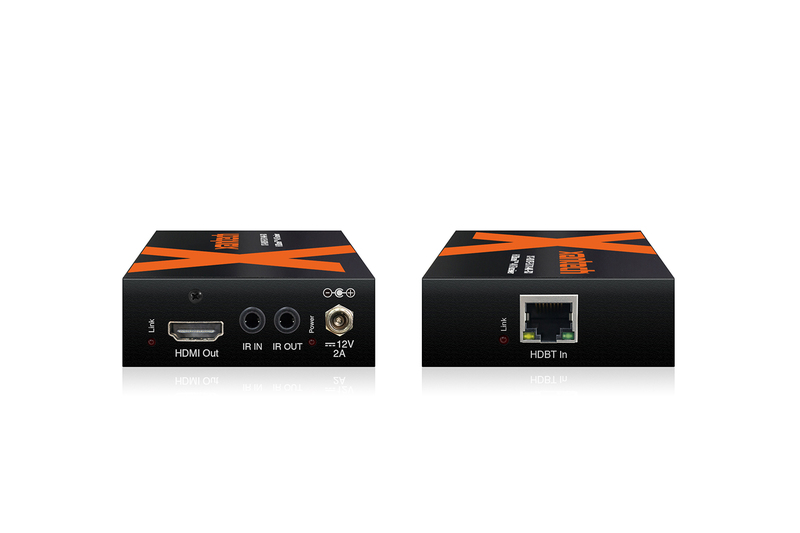 The XT-HDBT-EX70-4K-KIT is a 4K HDBaseT solution delivering HDMI with HDCP 2.2 support, Bi-directional IR and PoH (PoE) up to lengths of 40m at 4K (70m at 1080p) over a single CAT cable. Our EX-HDBT-EX70-4K HDBaseT™ extender kit offers market leading features and outstanding value. 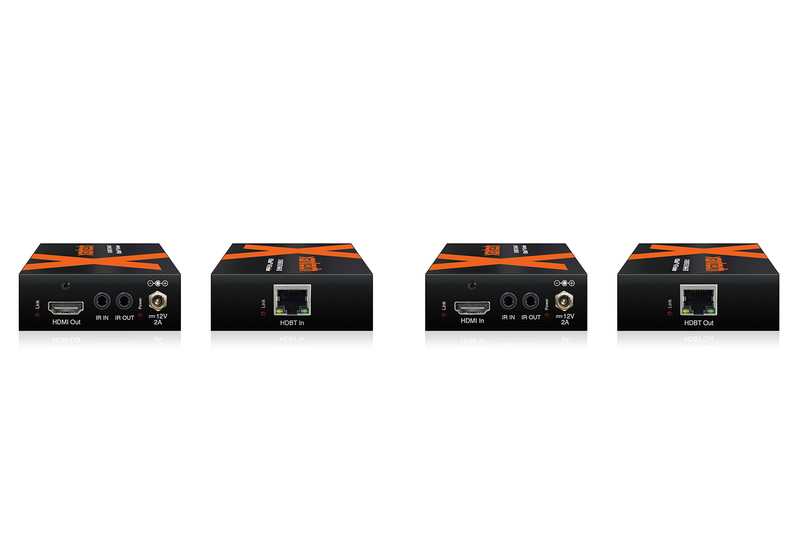 This product delivers HDMI, Bi-directional IR and Bi-directional PoH up to lengths of 70m. HDBaseT™ transmits uncompressed full HD digital video, audio, 100 BaseT Ethernet, Power-over-HDBaseT (PoH) and IP / RS-232 signals through a single CAT 6 cable over distances of up to 100 meters. Xantech extenders and matrices feature PoH. 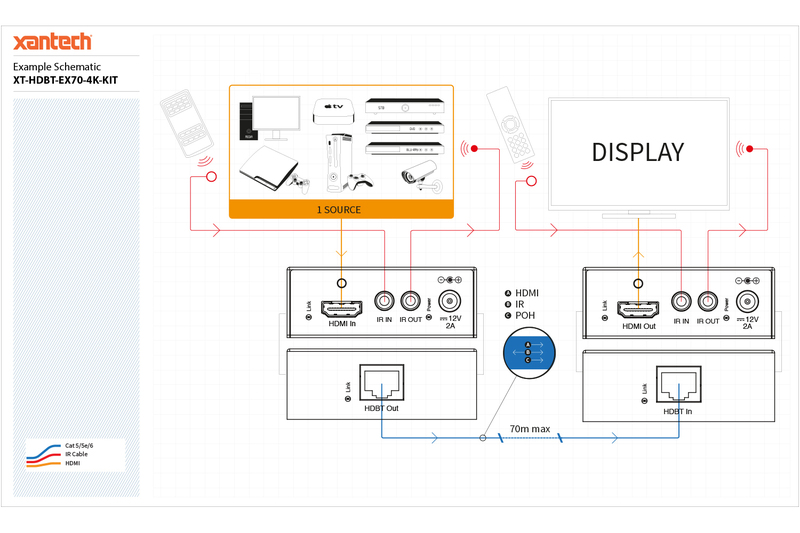 This feature allows you to power the remote HDBaseT™ receiver/s via the CAT cable, removing the need for a power supply.